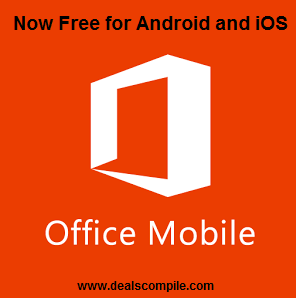 Microsoft Office Mobile Free(Home Use) Microsoft has announced that “People can create and edit Office content on iPhones, iPads, and soon, Android tablets using Office apps without an Office 365 subscription.” Paid Office 365 subscribers will have the benefit of the “full Office experience” across all devices though. An Office 365 subscription comes with advanced editing and collaboration capabilities, Dropbox integration , unlimited OneDrive storage etc. So Now you can access, view and edit your Microsoft Word, Microsoft Excel and Microsoft PowerPoint etc. documents from virtually anywhere.